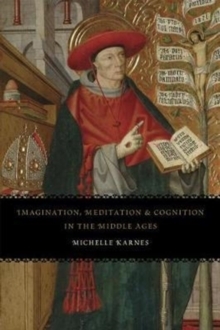 In Imagination, Meditation, and Cognition in the Middle Ages, Michelle Karnes revises the history of medieval imagination with a detailed analysis of its role in the period's meditations and theories of cognition. Karnes here understands imagination in its technical, philosophical sense, taking her cue from Bonaventure, the thirteenth-century scholastic theologian and philosopher who provided the first sustained account of how the philosophical imagination could be transformed into a devotional one. Karnes examines Bonaventure's meditational works, the Meditationes vitae Christi, the Stimulis amoris, Piers Plowman, and Nicholas Love's Myrrour, among others, and argues that the cognitive importance that imagination enjoyed in scholastic philosophy informed its importance in medieval meditations on the life of Christ. Emphasizing the cognitive significance of both imagination and the meditations that relied on it, she revises a long-standing association of imagination with the Middle Ages. In her account, imagination was not simply an object of suspicion but also a crucial intellectual, spiritual, and literary resource that exercised considerable authority.